October is nearing an end and the holidays are fast approaching! An important take away from this month is that we should work harder to educate others about breast cancer. As we all know it is Breast Cancer Awareness Month, but breast cancer is a disease that affects us year-round. It is imperative that we support others through their battle and also commit to improving early detection. Breast cancer is a terrible and unfortunately common disease that affects over 200,000 women (rare in men) in the US. Survivors are the winners of a very significant battle that symbolizes the importance of this cause and the education of others. One thing many survivors have in common are their battle scars. Scars symbolic of their winning battle and at times scars that can make them self conscious. Over the last few years, tattoo artists and breast cancer survivors have collaborated to create truly inspiring art. 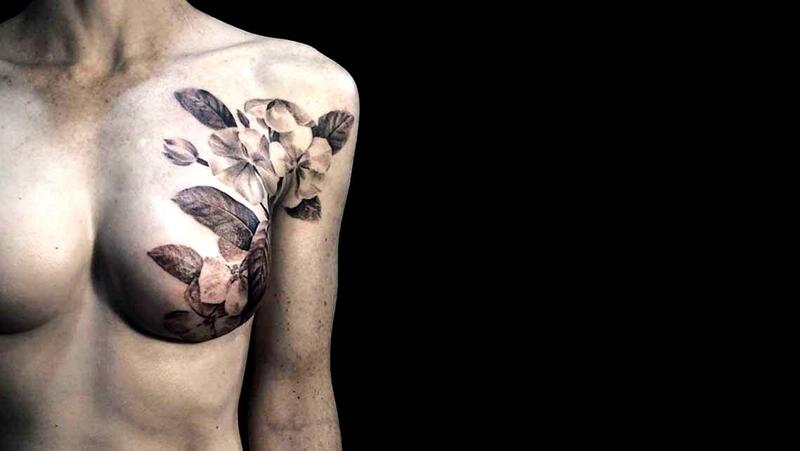 At times this art resembles reality in the form of recreating breasts, and other times by highlighting scars with beautiful and unique tattoos. Mastectomy tattoos, as they are commonly referred, usually involve the artist transforming the scar for their work. These tattoos can have a wonderful effect on survivors and can be truly beautiful pieces of art. Areola tattoos are also becoming more and more common and give survivors the opportunity to reconstruct their breast. Both are great choices for survivors, and although they may not be for everyone, we can all appreciate that they are wonderful options to have after a battle with cancer.